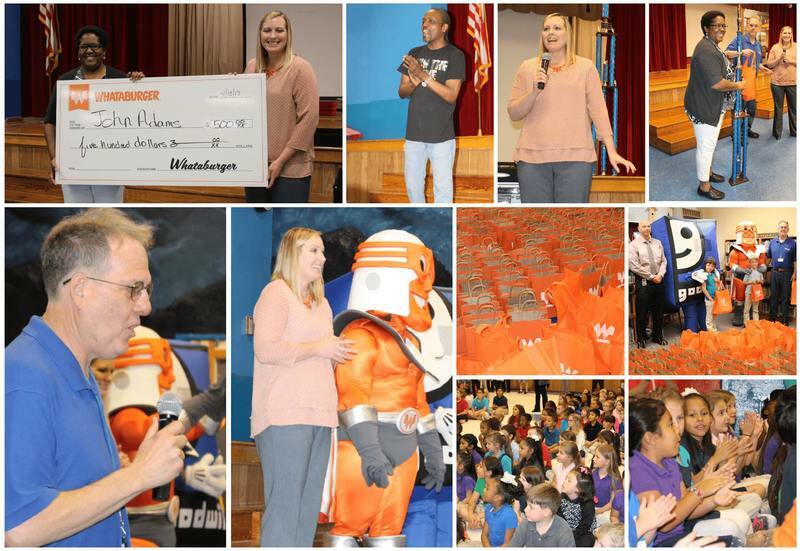 This month was an exciting one for students and staff at John Adams Elementary! They were presented with a 1st place trophy and checks from both #Whataburger and #Goodwill after having the largest amount of donations in the district! Every student and teacher received a special gift bag from Whataburger for their support and hard work during the drive.